Russian writer and former dissident Vladimir Bukovsky is seeking criminal prosecution against former Soviet president Mikhail Gorbachev for suppressing demonstrations in the last years of the Soviet Union. 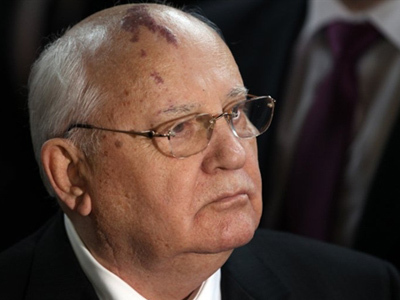 ­Bukovsky issued his appeal to a magistrate in Great Britain on Wednesday, requesting the arrest of Gorbachev, who was in London hosting a charity concert dedicated to his 80th anniversary, Russian media reported. 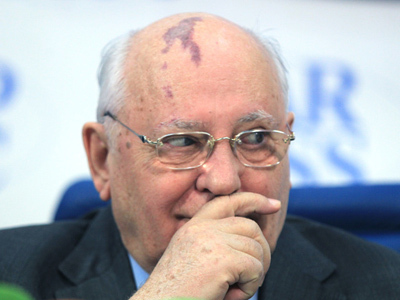 The former dissident said Gorbachev should be brought to justice because from 1989 to 1991 he ordered the dissolution of several protest demonstrations, which led to the death of 100 people as Soviet police and military clashed with violent protesters. The demonstrators were said to have been promoting nationalist slogans in Georgia, Azerbaijan and Lithuania. In his court appeal, Bukovsky said he was “seeking justice for the victims of Soviet mass murderers”. The British magistrate, however, turned down the request saying Gorbachev was in the UK with a formal mission and therefore should be immune from prosecution, Bukovsky said in a letter distributed on Thursday. 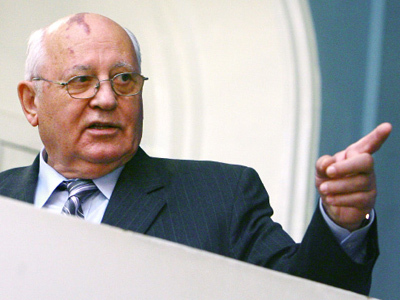 The dissident, however, argued that Gorbachev’s mission was a private one and that he would appeal the decision. Gorbachev occupied no official position in Russia, Bukovsky said, and his mission – which includes a meeting with the British Prime Minister – had never been reported as official and the forthcoming meeting between Gorbachev and British Prime Minister. Late on Thursday the Royal Courts of Justice in Strand, London refused Bukovsky’s appeal and ruled that Gorbachev cannot be banned from leaving the territory of Great Britain. Mikhail Gorbachev came to London as a guest at a charity concert, an annual event that was begun by Gorbachev to recognize individuals who have “changed the world,” took place in Albert Hall on Wednesday evening. The event brought together a large number of Russian and international celebrities. The first three awards were presented to CNN founder Ted Turner, inventor of the Internet Timothy Berners-Lee and a young Kenyan engineer Evans Wadongo, who had created an inexpensive solar lamp. Vladimir Bukovsky is one of the most famous Soviet dissidents. He was tried several times for organizing anti-government meetings and distributing banned books. He was summarily sentenced first to compulsory treatment and then to labor camps. In 1976, the Soviet authorities exchanged Bukovsky for Chilean communist leader Luis Corvalan. Bukovsky then settled in the UK where he dedicated his life to science and literature. He tried to return to politics in mid-2000s and even wanted to run for president in 2008, but his application was rejected due to the fact that Bukovsky has been living outside Russia over the 10 years preceding the elections, which, according to the Russian Constitution, nullifies his chances for candidacy.